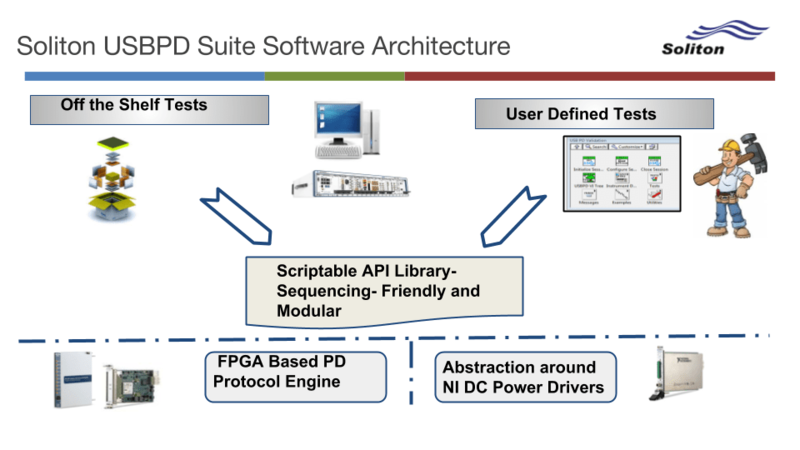 The picture describes the hierarchy of layers of software for the USB-PD Validation Suite and APIs. 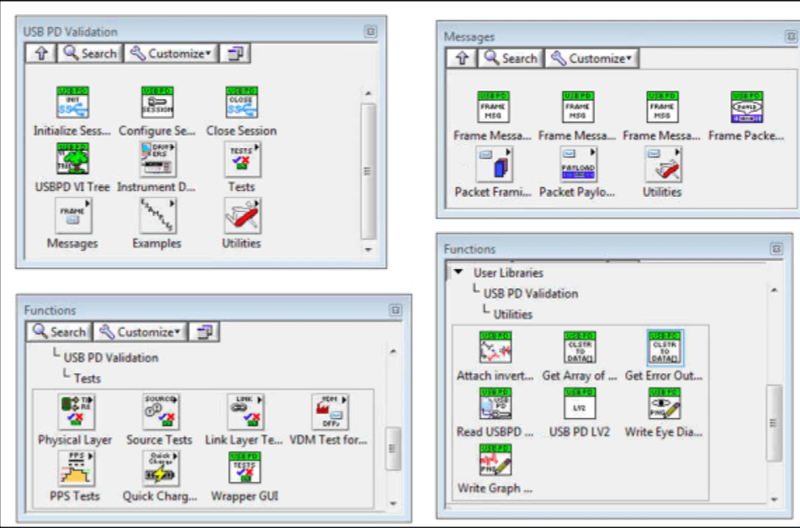 Palette is Organized as Test Layer, Driver Layer, Message Layer, Packet Layer, Wrapper GUI etc. 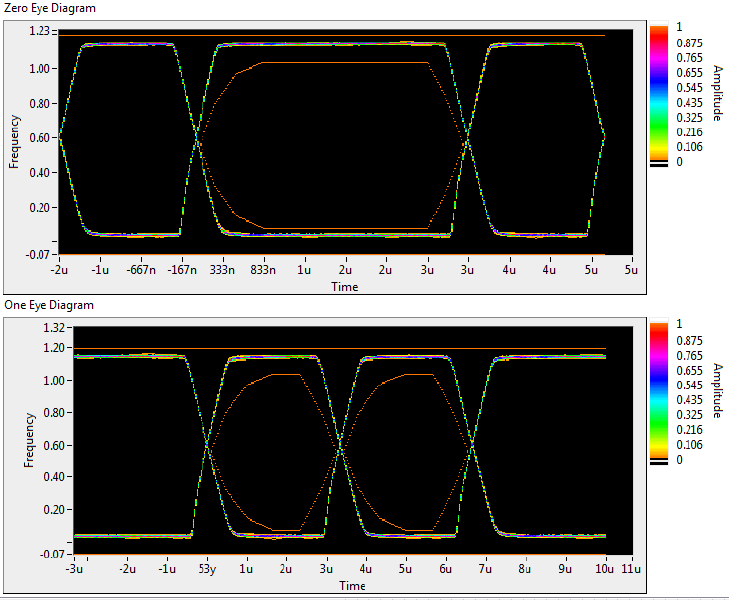 The NI5781-PXIe796X setup enables dual 100MHZ digitizer channels for TX/RX eye plot/output vs masks. 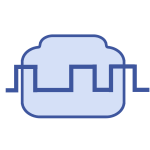 why soliton's usb pd validation suite? Both R&D and Production Test Capabilities. LabVIEW Application Programming Interface (API) available. Physical, Protocol, Power Supply, Vendor Defined Messaging Layers. Expandable to non-PD feature testing. Out-of-the-box GUI for basic use cases and Modular API for advanced use cases. Open PXI architecture allows the scalability to integrate non-PD use cases with advanced triggering, etc. 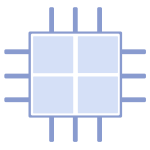 Allows 'Break the Part' and Corner Case Testing that other solutions do not offer.